Low Coniscliffe & Merrybent Parish Council is seeking a part time Clerk/Responsible Finance Officer to work on average 10.5 hours per month. Hours are flexible and can be worked from home to suit the post holder, other than a requirement to attend to support Parish Council meetings, which currently take place on a Tuesday evening every other month. The Clerk is expected to advise the Parish Council to ensure that it acts within its powers and complies with all legal and statutory responsibilities. • Management of accounts, including maintaining financial records, bank reconciliation, preparation of budgets, PAYE, etc. Salary: Salary is calculated according to National Joint Council (SCP26) and is currently £1,559 p.a. based on 10.5 contractual hours per month. The next meeting of the PC will be held on 10 July at 7pm in St Edwins church hall. The agenda is posted on the website by following this link. Following the sad death of P Cllr Sue Gatenby and recent resignation of P Cllr Tony Stuckey there are now 2 vacancies for Parish Councillors. These vacancies are advertised on the Low Coniscliffe and Merrybent noticeboards and on the DBC web-site. Please follow the link below for further information. The next meeting of the PC will be held on 22 May 18 (not 15 May as previously stated) at 7pm in St Edwins church hall. All residents of the Parish are invited to attend and raise matters of interest with the Parish Council. Low Coniscliffe and Merrybent Parish Council have a vacancy for a part-time Clerk. For further information please phone 01325 357183 or 0792 338 4031. The next meeting of the PC will be held on 13 March at 7pm in St Edwins church hall. As you may have been informed there is a re application for development of 14 dwellings on land to the West side of Gate Lane Low Coniscliffe ref no 18/00023/OUT. This is the letter sent by the Parish Council to DBC Planning Team for information. PLEASE EMAIL OR WRITE TO DARLINGTON BOROUGH COUNCIL OR SUBMIT COMMENTS ON THE PLANNING WEBSITE HERE. This letter is written on behalf of the Parish Council in objection to the above planning application for 14 houses on land north of Low Coniscliffe, Darlington. Low Coniscliffe is a small village located within the west end of Darlington and which forms part of the Parish of Low Coniscliffe and Merrybent. It is a quiet village of 92 residential dwellings, but containing no services. It is surrounded by open countryside. Its proximity to the Teesdale Way gives access to and from a setting of special character. This area, and the separation of the village from other towns and villages is much cherished by the people of the Parish and the town. It is strongly felt that a development in this area, such as that proposed, will result in the loss of cultural identity and local distinctiveness. The green spaces (open fields) within the natural area of Low Coniscliffe form part of the landscape setting of the area. It is felt that the recent approval of 37 dwellings on land to the east of Gate Lane would exacerbate the impact of the proposed development, and approval of the current scheme would have an urbanising effect harmful to the character of the village and its setting. The application site is located outside of the defined development limits to Low Coniscliffe. 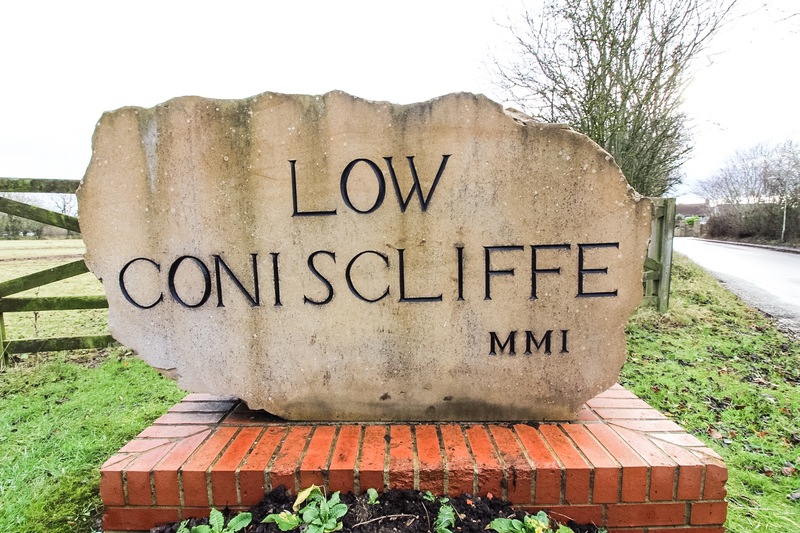 Indeed, Low Coniscliffe is not a suitable location for housing development, being devoid of the services and facilities needed to support it on a day to day basis. Buses to and from the village run only every 30 minutes which is an important consideration for the proposed family housing, particularly as two of the units within the site may be affordable. The village and indeed the wider Parish has no social facilities, schools, shops, village hall, post office, GP practise, or appropriate accommodation for those with special requirements. There are no play or other recreational facilities within Low Coniscliffe. For the above reasons, development outside development limits of villages is contrary to adopted and established development plan policies. Even the Interim Policy Position in use by the planning authority as a means of assessing development proposals in advance of having an up to date development plan would not support development of the application site. The document sets out ‘key sustainability criteria’ applicable to the villages and of the listed ‘key sustainability criteria’ for the villages contained in Table 3, the application site fails all but one. Furthermore, 30 minute bus service is not sufficient to provide good accessibility to the most basic of services over 3kms away. It cannot be argued that the proposed development would be a sustainable one. None of the essential services listed are within walking distance of the proposed properties. Paragraph 34 of NPPF states that developments, especially those generating significant traffic movements, should not only maximise the use of sustainable transport choices, but also minimise the need to travel. Residents of the proposed development would need to travel to meet all of their day to day needs, something which is impractical using an almost hourly bus service. Paragraph 38 of NPPF states that where practical, key facilities should be within walking distance of most new properties. In the case of the proposed development, nothing would be within walking distance. www.highconiscliffe.darlington.sch.uk). The local Academy School referred to in the planning application is also full to capacity and overflowing. Rather than supporting these nearby services, the proposed development, in this instance, would in fact place a strain on them. Paragraph 17 of NPPF sets out one of the core planning principles of the Government’s planning policy, being to actively manage the pattern of growth to make fullest use of public transport and focus significant development in locations which are, or can be made sustainable. 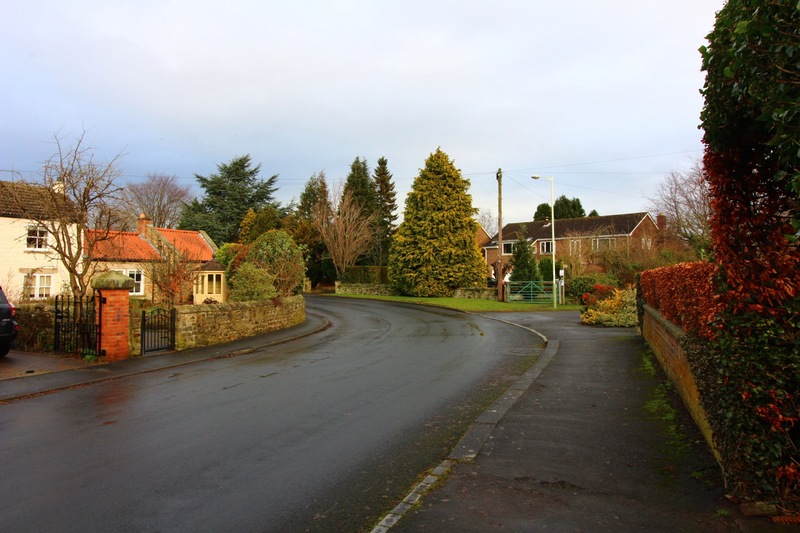 Low Coniscliffe, even with a bus route, is not itself a sustainable location. It cannot be argued that the proposed development fulfils the social arm of sustainable development as set out in NPPF, promoting strong, vibrant and healthy communities. There would be very poor accessibility to even the most basic of needs. The strong need to minimise essential travel needs and protect unspoiled countryside is clearly applicable in this case. As the Council can demonstrate a 5 year housing land supply, the current development plan policies can be considered up to date, and as such there is no pressing need to allow the proposed development in this location. The village of Low Coniscliffe dates back to 1066, when a medieval manor house existed at the south west end of the village. It has developed since then, and the name Gate Lane is thought to have originated from the presence of a turnpike gate in and around 1762. Many of the properties date back centuries, and as a consequence there is a strong character and local distinctiveness. The village is at present an undesignated heritage asset, which also contains several listed buildings. The field to which the application relates serves a number of important visual functions. 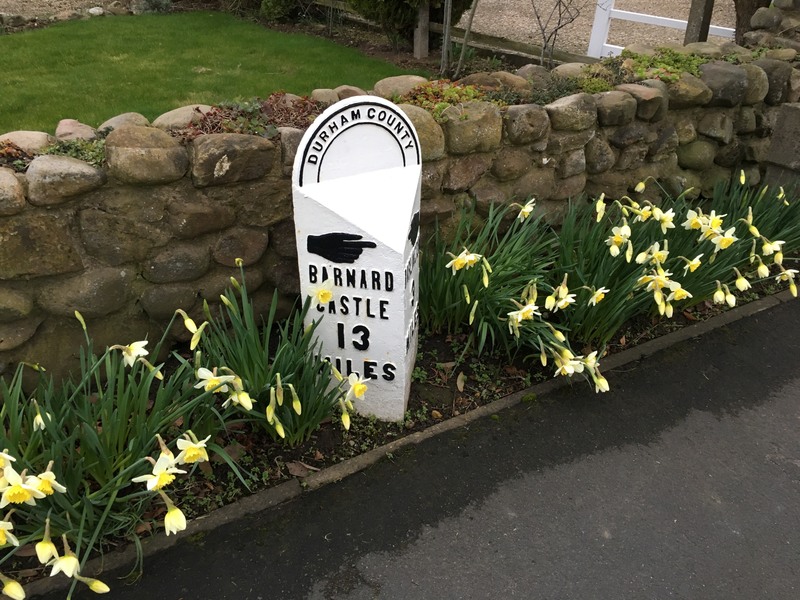 Firstly, it provides an important setting to the village when accessed from the A67. The rural and undeveloped approach is important to the character of the place and its rural appearance and charm, which is contributed to by the attractive and dense, wildlife rich hedgerows that delineate the site boundaries. Secondly, the field provides visual separation between Low Coniscliffe and the Merrybent development to the north of the A76. At the present time there is a clear and strong defensible boundary to the village, which the Parish Council feel is important to retain. The proposal would, for the above reasons, erode the character and appearance of the area and the special setting of the village. Having regard for the 3 key factors of sustainable development (NPPF), the impact on the character and visual amenity of the area are considered such that the proposal cannot be considered to accord with the NPPF 2012 or saved development plan policies insofar as they relate to the preservation of the countryside from encroachment. The village is on a natural north south slope and properties at the back of the village (Back Lane) are prone to surface water flooding from heavy rainfall, such events becoming more frequent in recent years. The present Northumbrian surface water drainage system within Low Coniscliffe during heavy downpours is often unable to cope with the volume of surface water during downpours, therefore flooding occurs in both Gate Lane and Back Lane. The Parish Council are of the view that housing on the application site would not only remove opportunity for water to drain away, but also contribute to surface water run-off owing to the creation of impermeable surfaces, thus exacerbating the existing situation. 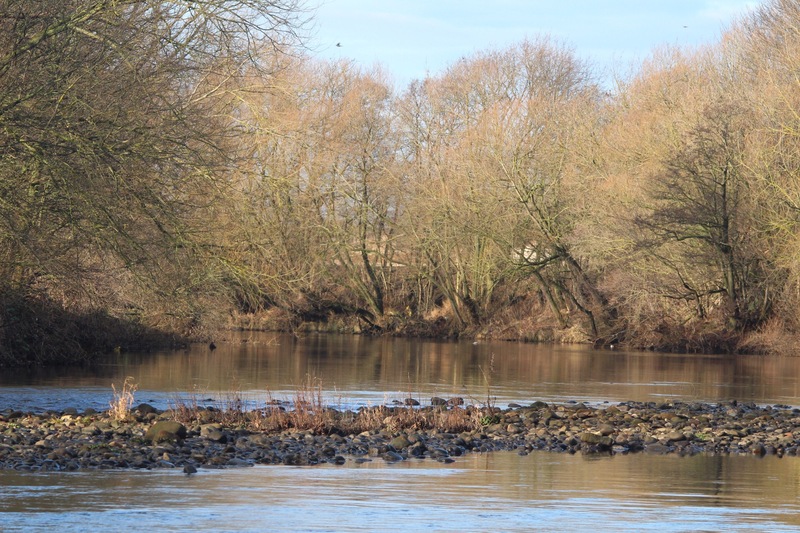 The applicant’s flood risk assessment would appear to suggest that the appropriate means of discharging surface water drainage would be by soakaway, and if this is not possible or suitable following site investigation, connection to the mains drain would be the fall-back. Given that there are known issues in relation to surface water drainage in the local area, the most appropriate plans for surface water drainage from the development should be identified and submitted to the LPA for consideration prior to a decision being made, and that the local residents are given adequate opportunity to comment upon it. The Parish Council also receives frequent complaints from the residents of Low Coniscliffe regarding the present foul water system, which is running over capacity with events of regular surcharging due to the backing up of effluent. 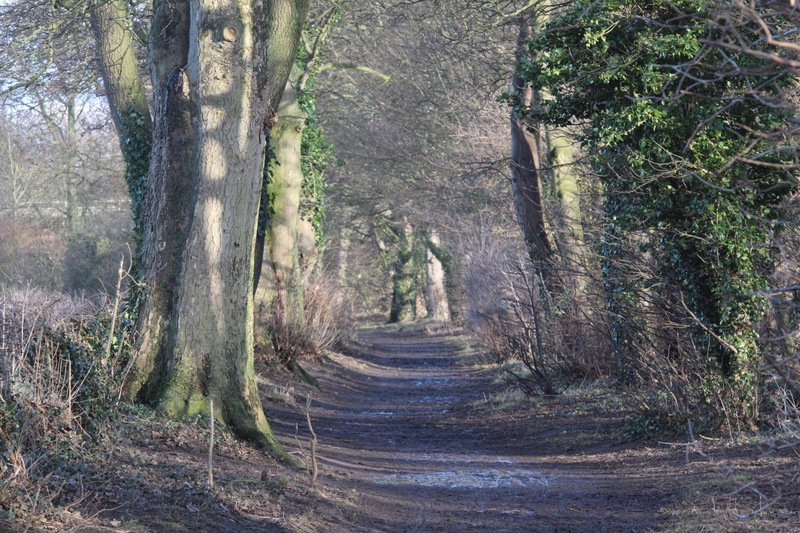 The Parish Council are of the view that the local access road identified to provide access to the proposed development is of insufficient width to allow a safe and satisfactory access to the site, and will result in harm to highway and pedestrian safety. Gate Lane is a relatively narrow road with a narrow footway. It presently provides the main entrance to and exit from the village. Exiting onto the A67 can at certain times of the day be a dangerous manoeuvre due to the volume of traffic. There have there have been a number of recorded accidents at this junction. The road sanctuary islands have needed to be replaced on a number of occasions and at the time of writing this report two road islands are awaiting repair. Nearly all residents who work travel by car, which is testament to the inadequacy of the bus service to employment locations. The Parish Council further believe that should this application be approved that the increased risks to pedestrians due to increased traffic would be too great, in particular disabled wheelchair users, mothers with babies in pushchairs and elderly people who need to use the road rather than a narrow footpath that is presently not fit for purpose. The applicant’s ecological report identifies that the hedgerows are to be maintained, which is not the case, since it would appear to achieve access and the necessary visibility splays, some of the hedgerow adjacent to Gate Lane will need to be removed. These hedgerows are not only an important visual feature, but recognised as being important and a potential habitat for bats and nesting birds. During the consideration of the last application relating to this site, it was suggested that bat transect surveys would be appropriate and that if bat transect surveys are not appropriate, then it should be clear in the application why not. The applicant’s own supporting information states that the trees within the hedgerows may contain roosts, and that there is a high probability that they are used as flight lines by bats. One of the key dimensions of sustainable development is an environmental one. This includes (paragraph 109) minimising impacts on biodiversity AND providing net gains where possible. The information to enable the assessment of whether such minimisation can be achieved is not available, not least the information to understand whether there is likely to be an adverse impact on protected species. Given the ownership dispute that is clearly known and documented, we are astonished that the application has been accepted without any scrutiny of this matter. While it is acknowledged that ownership is typically a civil matter and not a planning one, in this instance the disputed area includes land which if the development is approved, is required to allow suitable visibility. In all probability, it would be subject to planning conditions requiring that the area be maintained free of obstruction on an ongoing basis and the Parish Council contend that the applicant is unable to comply with such a requirement. Similarly, conditions requiring the retention of the hedgerow, and its maintenance within the visibility splay cannot be complied with. For the above reason, the implications of disputed ownership become clear material planning considerations. The Local Planning Authority must be certain, before imposing planning conditions, that the applicant is in control of the land subject to those conditions. If not, then the matters would be more appropriately dealt with by way of legal agreement, to which all owners would be party. For the above reasons, at the very least, the applicant should be requested to evidence his ownership of the hedgerow, and if he indeed is the owner of it there would be no objection from him to do so. As you are aware, the Parish Council are legally represented in this matter, and intend to take the matter to the LG Ombudsman, and where appropriate judicial review, if the application is approved in the knowledge that the applicant does not own the land he claims to. I trust that the comments made can be given due consideration and would welcome further consultation on the receipt of further information. I look forward to hearing from you in due course. The next meeting of the PC will be held on 16 Jan at 7pm in St Edwins church hall. 16 Nov 2017, 7pm, St Edwin’s Church Hall, High Coniscliffe. The Parish Council is meeting to discuss the options for proposed replacement of street lighting in Low Coniscliffe and make a decision on the preferred solution. This meeting is open for members of the public to attend.